Of all the temperate timber bamboos, this is the strongest. Although not native to Japan, Madake is the bamboo most preferred for building in that country. It is a good bamboo for places that get snow, but do not get colder that 5º F, since it sheds snow better than most other large bamboos. It is also very upright, not leaning to the sun as some others do. In cooler climates this Bamboo can stay in tighter clumps but it is best to use a barrier of sorts to keep it in the area intended. 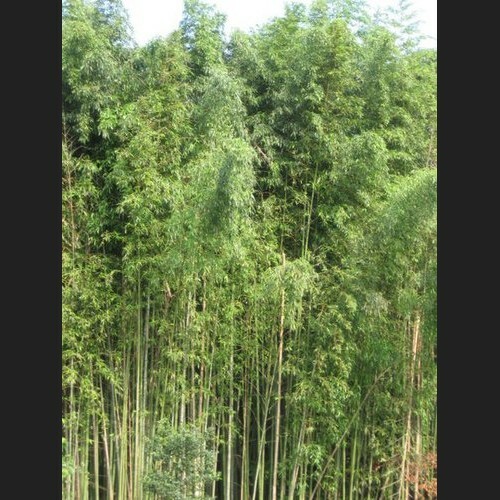 Phyllostachys bambusoides has dark green canes that can reach up to 5-6″ in diameter. This Bamboo is not native to Japan but it is a very important building material there as it is the strongest of the temperate timber bamboos. Madake bears glossy, dark green leaves, has an upright growth habit and grows to 72 foot high with an average 50 foot spread but it is a running Bamboo so the spread can be infinite.